The cover of the new guide. Click for the PDF. 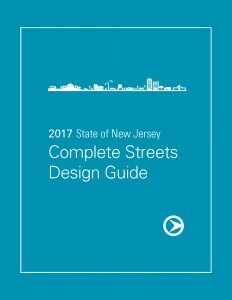 This month, the New Jersey Department of Transportation (NJDOT) released the New Jersey Complete Streets Design Guide, the latest in a series of guides to aid policy makers, government officials, and local citizens with addressing the needs of bicyclists, pedestrians and everyone who travels along their roadways. 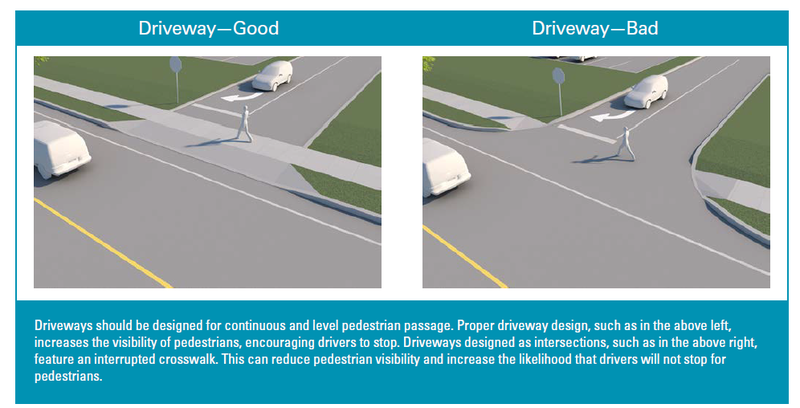 You can find the three guides on our Complete Streets Resources page. 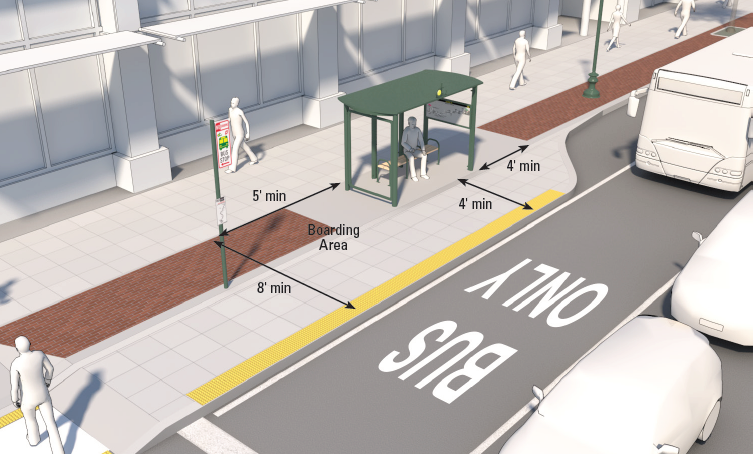 Suggested treatment for a bus stop. The New Jersey Complete Streets Design Guide provides a concise but thorough reference guide for planning and designing streets to meet multimodal and community needs based on local context. This design guide has been developed to supplement existing manuals and standards, including the Manual on Uniform Traffic Control Devices (MUTCD) and guidance issued by the National Association of City Transportation Officials (NACTO), the American Association of State Highway Transportation Officials (AASHTO), and the Federal Highway Administration (FHWA). Suggested treatment for a protected bicycle lane. 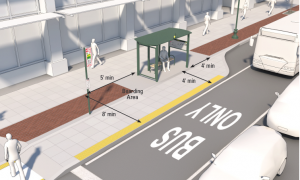 The Complete Street Design Guide includes example street typologies that illustrate how different treatments can be applied to different contexts throughout New Jersey to create a more Complete Street. The different treatments will allow planners and engineers to bring Complete Streets to dense urban municipalities, popular shore communities, traditional suburbs, and rural outposts. NJDOT is committed to safe and convenient travel for all users, all modes, and travelers of all ages, abilities, and means. This guide will help further work in New Jersey to accomplish this goal. View the new Complete Streets Design Guide at the NJDOT website, or on our resource page. Visit http://njbikeped.org/complete-streets-2/ to find out if your community has a Complete Streets policy, and to learn more about Complete Streets in New Jersey. 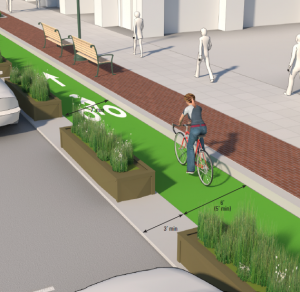 Also, check out three exciting case studies showing how New Jersey municipalities have implemented Complete Streets in their communities.